Minor complaint, not sure if there’s anything you can do about it. Every time I reply to a post/question, I see the following warning. Every time, I dismiss it. I don’t create new topics, I just reply to others, usually just answering questions from customers. Is this a Discourse option that can be disabled? Can this be enabled just when creating new topics? I hope that this post will count towards my “first 2 posts”. 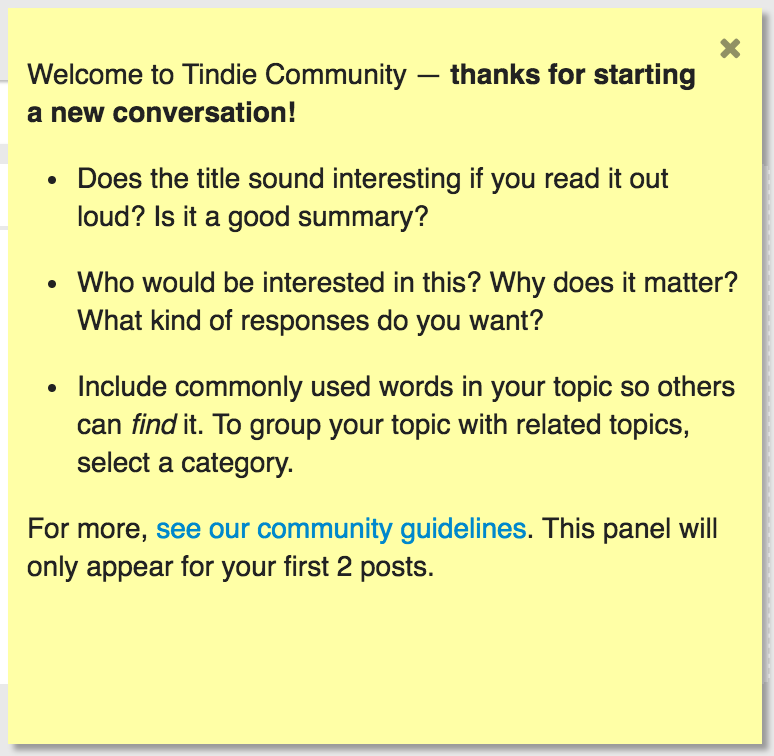 Welcome to Tindie Community — thanks for contributing! I’ve looked through the various discourse settings and done some digging online and I don’t believe this warning can be removed at this time. No problem, thanks for checking!